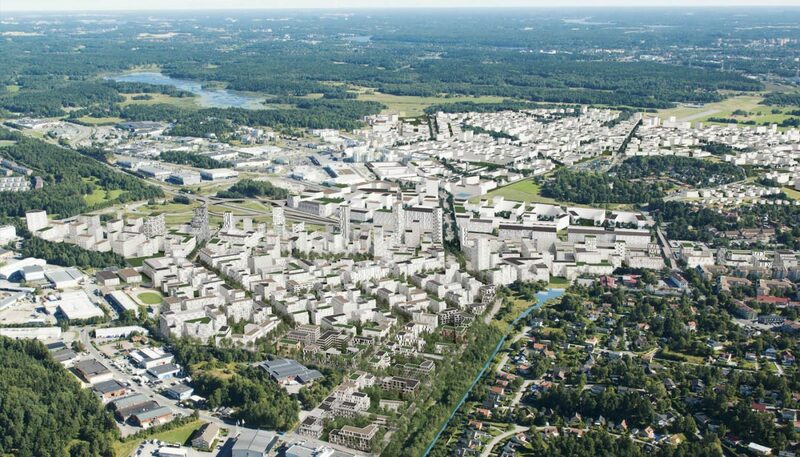 Barkarbystaden is a mix-use urban development, providing more than 18 000 new homes. 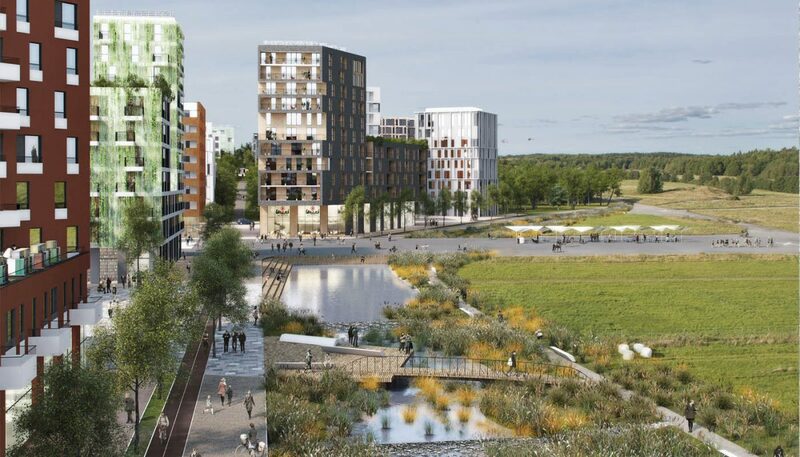 All aspects of urban life will be represented across the site; culture, commercial, retail, sports and social premises will be fully integrated. 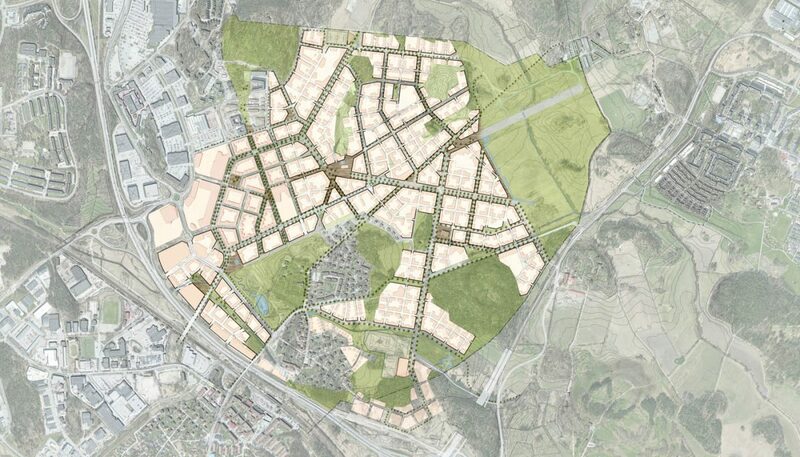 In 15 to 20 years’ time Barkarbystaden will have nearly 50 000 new inhabitants. 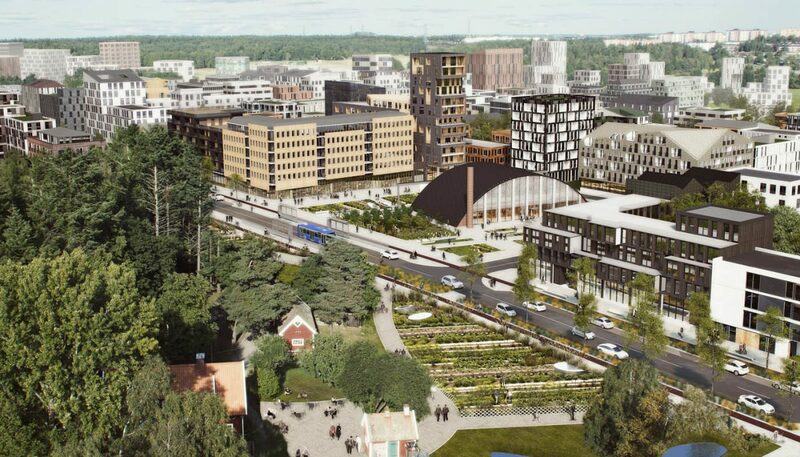 “Stockholm West”, and Barkarbystaden, will become a regional hub for all means of public transport; inter-city and commuter trains, subway and buses will provide the area with a resilient network to the country as a whole. Two European highways – E4 and E18 – intersect within the development area, providing a well integrated, high capacity network of vehicular roads. 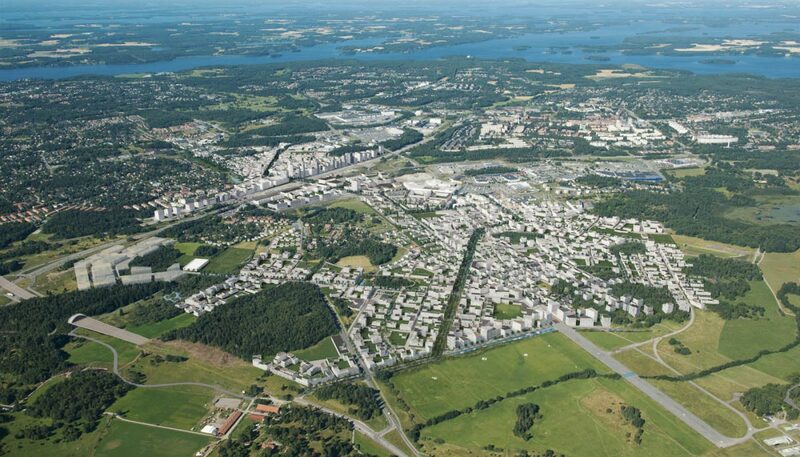 Located at the fringe of Järvafältet nature reserve, open fields, lakes and streams will be just a few steps away. Untouched nature and dense urbanity melt together along the periphery of the development area. 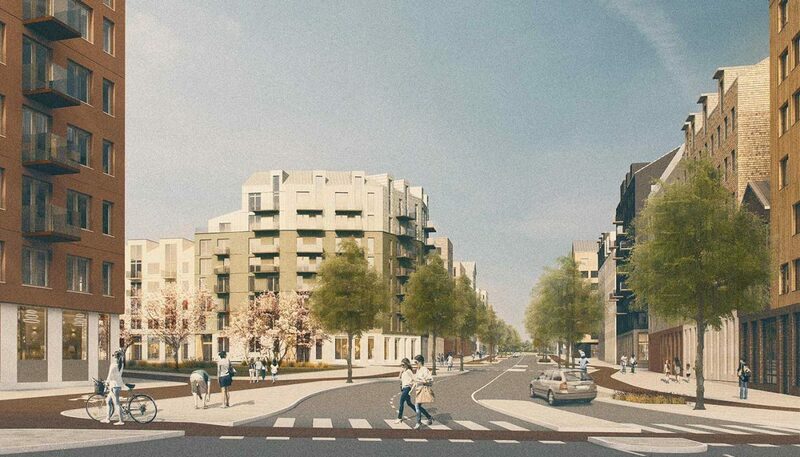 A network of streets and spaces creates a subtle transition between the open landscape and city life. 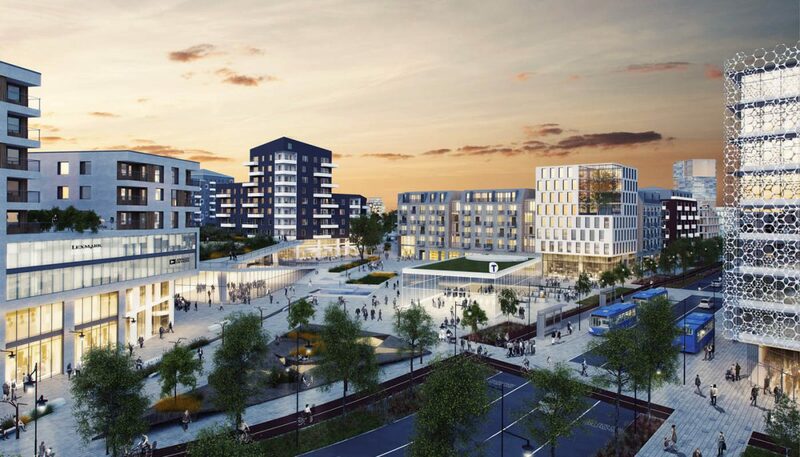 Barkarbystaden is truly a mix-use community, providing housing, work-places, leisure, shopping and social functions within walking distance from home. Streets and spaces are designed for pedestrians and cyclists and the rich choice of public transport will considerably reduce car dependency. 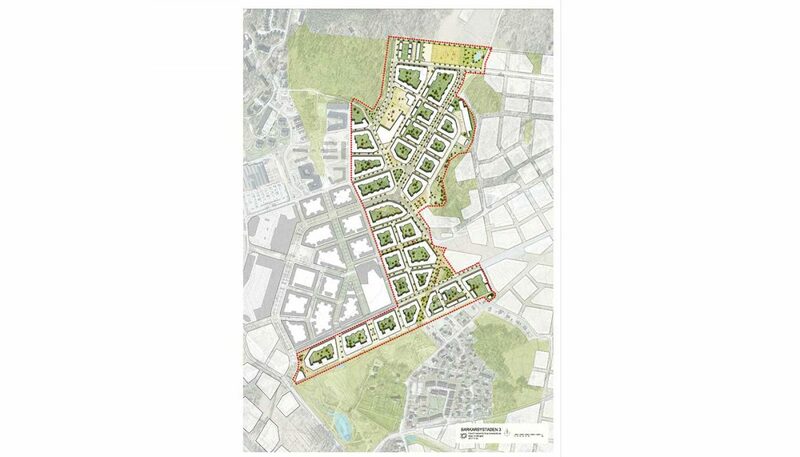 The blue-green strategy for streets, squares and parks provides multi-functional spaces which combine technical infrastructure with bio-diversity and exposed storm water treatment into beautiful holistic urban public spaces. 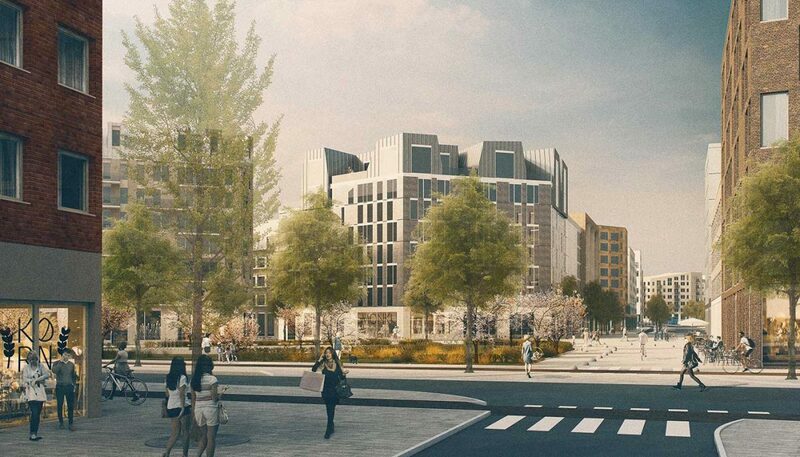 High quality public spaces, the strong presence of historic events and uses as well as the open-minded response to flexibility in use, Barkarbystaden will shape a truly livable new city – in time and space. 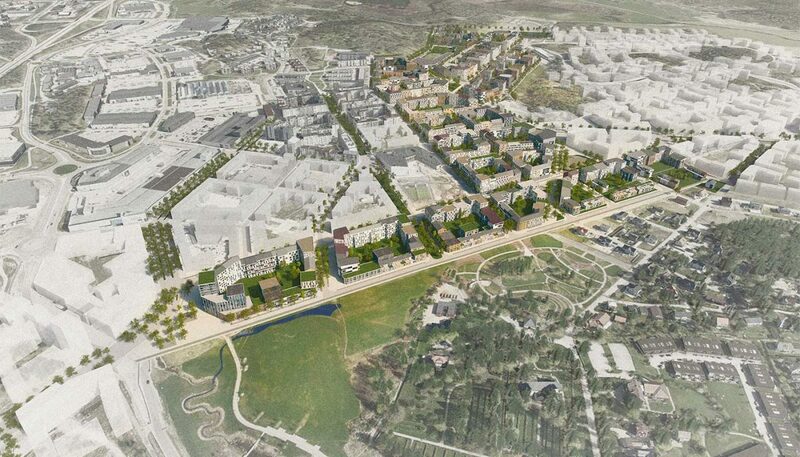 The runway, the airplane hangar, the old church and the nature reserve are just a few of many assets shaping Barkarbystaden, both in its conception and as a living environment of tomorrow.